Colour Coded: elements are colour coded for easy identification. 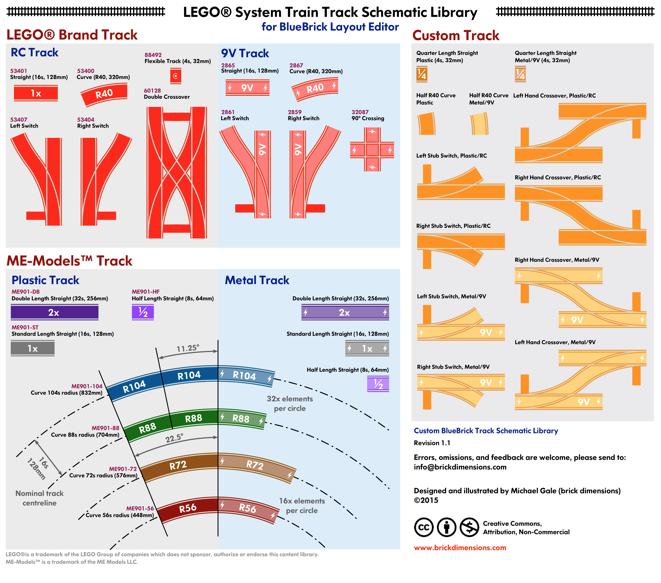 Red elements represent track products from LEGO®, orange elements are custom parts, and ME-Models components have different colours for each unique curve radius. 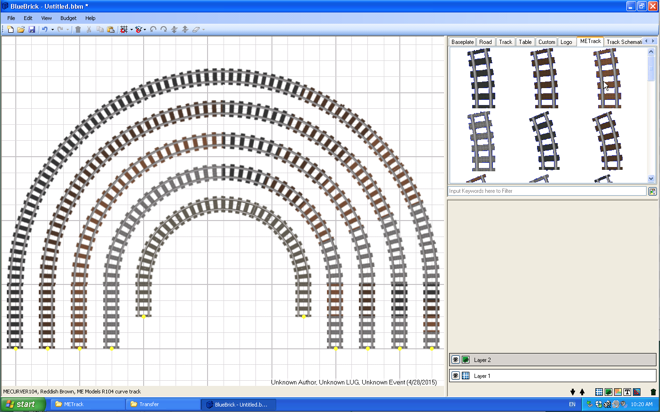 Plastic and Metal rails: RC/plastic and 9V/metal track elements are differentiated by colour saturation so that metal and plastic track can easily be combined in a plan, yet easily identified. Furthermore, metal track also include a small energy bolt icon to indicate that it is powered. Complete: all track elements are properly identified by colour and part number (where applicable). This will be especially helpful when generating a parts list since it will itemize all unique parts. This library is freely available for download in the resources section of this website. 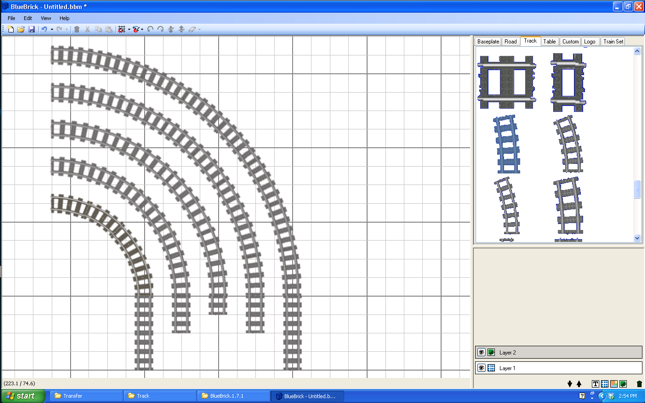 Happy layout planning!